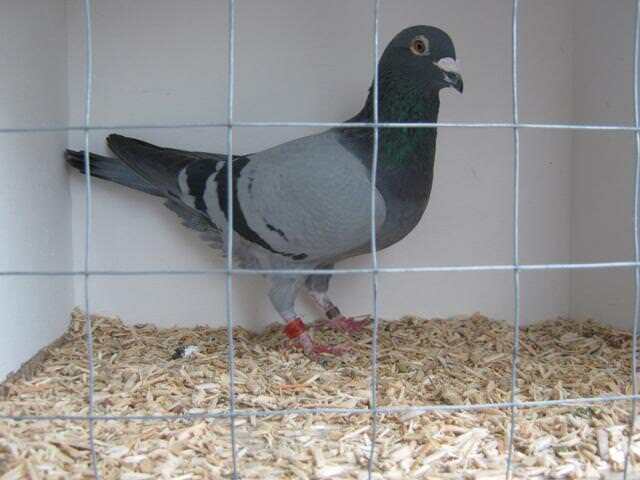 Pigeon Chat Auctions presents a quality selection of pigeons from Tony Adams who offers some top class bred pigeons, including direct Lots from the Master Doctor Frans Zwols. ½ brother to King of Rekkem, in 2010 he won 1st NPO Rekkem 19,409b when he pipped his nest sister the Queen of Rekkem into 3rd, then 1 week later from Boxtel he recorded 2nd Afd 10 from 11,887b, he had previously already been 7th Afd 10 Duffel 19476b, 7th Duffel 8866b, 22nd Boxtel 9525b and 19th Arras 7781b. ½ brother to Prince of Rekkem, 2nd NPO Rekkem 19,403b. 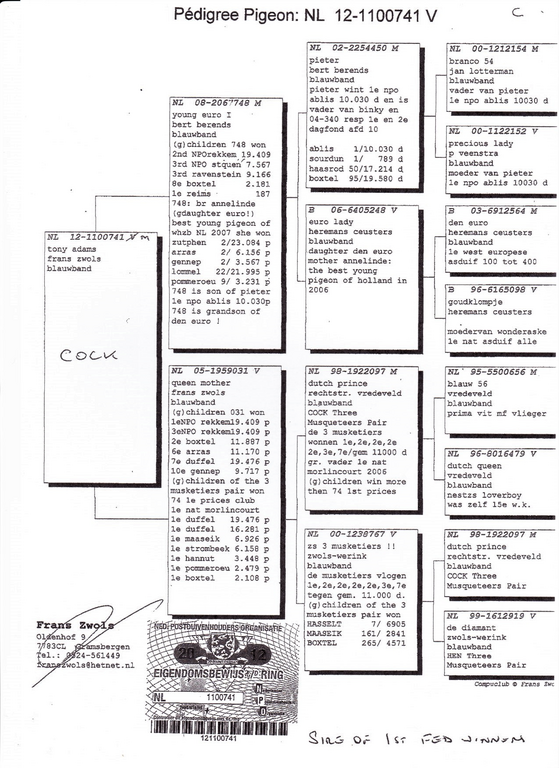 Dam: “Queen Mother” a child of the Golden pair Dutch Prince & De Diamant who bred 75x1st. To add the King of Rekkem is a ½ sister to Franske who bred 35x1st for Gert Munnink.